Sometimes, you just need some good food, good spirit, or a good book to make your day, or week, or holiday season. Well, how about all three rolled into one? 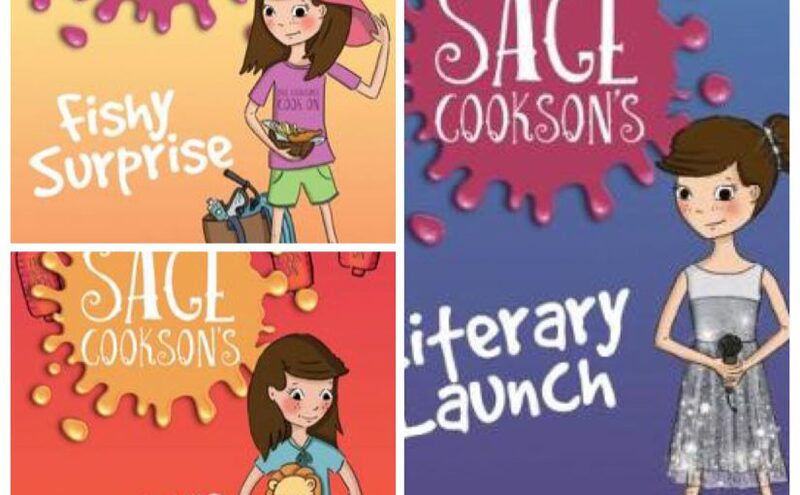 Sally Murphy’s Sage Cookson early reader series certainly satisfies. 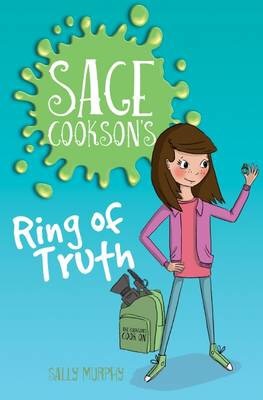 Here’s the latest book, ‘Ring of Truth’. 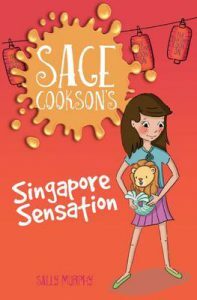 A bright, eager to please young Sage is the luckiest daughter of world famous TV star chefs, enjoying an exciting life of adventure, travel and delicious culinary delights. Content to take a back seat from the limelight, Sage Cookson is off on another enlightening trip with her parents to watch the filming in the beautiful Harmon Island. There they meet two sisters who will feature on the show; pastry chefs of the most scrumptious pastries, pies and bread. But the success of the segment, and Sage’s good-natured reputation, hang in the balance when one of the sister’s treasured emerald ring goes missing. Can Sage clear her name? Will they go on with the show? There is one ‘pie’-ticular piece of evidence that will reveal the truth. 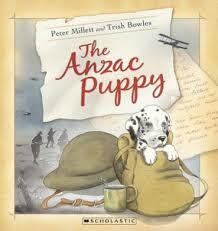 Within the ten short chapters is a plot that is straightforward and easy for early readers to grasp. 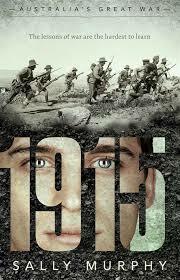 Charmingly, the peppering of feeling and warmth throughout adds that extra flavour of drama and emotive goodness. Murphy cleverly integrates themes of friendship, sincerity and modesty within the exhilaration that unfolds in the final scenes. And decorated at each chapter heading are the rich, black and white pencil shadings of illustrator Celeste Hulme, tantalising our senses for what’s ahead. 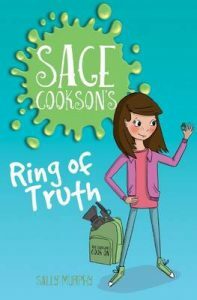 Infused with zest and a sense of refreshment, Ring of Truth satisfies its readers with honesty, passion and aplomb. This series is a treat for all chefs in the making from age seven. Check out Sage Cookson’s Sweet Escape, and Sage Cookson’s Fishy Surprise, out January 2017. New Frontier Publishing, September 2016. Today we’re looking at three very different Christmas picture books. They’re all colourful and entertaining, but the only thing they really have in common is the fact that they feature animals. Written by Sally Murphy and illustrated by her brother-in-law, David, this story features a kangaroo who looks a little different from his friends. The themes are similar to those in Rudolph the Red-nosed reindeer, but this story has an Australian flavour and features kangaroos instead. Snowy stands out from the other kangaroos because he is the only white one. But he soon discovers that being different is also special, and that maybe he is different because life has something special in store for him. Snowy’s Christmas was a hit last Christmas and has just been released in paperback for 2010. Kangaroo loving kids will enjoy this feel good story about family, friends and fitting in. David Murphy’s beautiful illustrations are so expressive that it’s easy for readers to know exactly how Snowy is feeling. 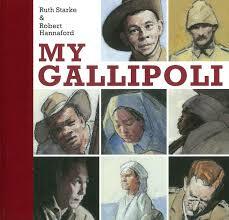 As the name suggests, this book features another Aussie favourite. I’d never pictured Santa as a koala until I saw this book, but it works – and a koala in a Santa suit is pretty cute. 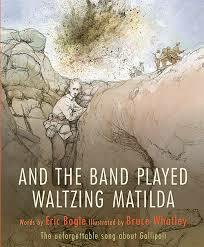 The book is written in rhyme and can be sung to the tune of Waltzing Matilda. It even comes with its own CD. It is cleverly written by Colin Buchanan with a very Australian flavour and features other Australian natives like Echidna and Emu. 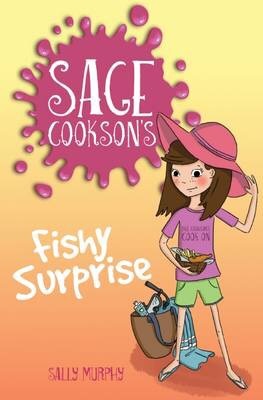 Glen Singleton’s fun colourful illustrations complement the text and there’s a funny twist at the end. I’m an animal lover and I have to confess that cats are a particular favourite of mine, so this book was always going to appeal. It’s written and illustrated by Kevin Whitlark and both the text and the pictures gave me plenty to smile about. The book is written in the same vein as the Twelve Days of Christmas but features a ‘true cat’ instead of a true love. I think my favourites were the ‘six furballs feasting’ and a ‘fat mouse in a fur tree’, but all the presents sent by the ‘true cat’ are hilarious and the ending when all the presents have arrived can only be described as a chaos of cats. Snowy’s Christmas is published by Random House and Santa Koala and The Twelve Cats of Christmas are published by Scholastic. Like many of Sally Murphy’s stories, Toppling started with a character. John is a boy with the slightly nerdy hobby of domino toppling. He has a very stable, happy home life, and a good strong friendship group at school. But Sally started to wonder what would happen if something went wrong in John’s life. 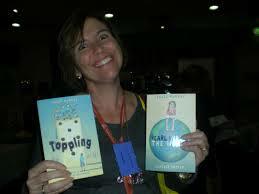 Using the metaphor of toppling, Sally decided that John’s best friend is in danger of toppling. He has cancer, and John and his other friends need to figure out how best to support Dominic while still carrying on with their own lives. John is a year six boy who is pretty normal. He isn’t a big fan of school, but likes the chance to hang out with his mates. He has a big sister who rubs him up the wrong way. John is honest and he is a first person narrator who can be self-deprecating, and admits to insecurities. Toppling is for middle and upper primary aged children but is also being used in secondary schools because of the subject matter and the verse form. It covers a tough topic, but kids will enjoy that it is a positive story, which offers hope. Also, it has humour, and lots of slice of life scenes. The verse novel format makes it very accessible to readers. When I see how kids love this format I wonder why there aren’t more verse novels made available to them. I had fun weaving domino toppling through the book, and trying to weave just a little humour into what was, by necessity, a fairly serious tale. The humour helps to ease the tension. Writing on such a heart-wrenching topic – childhood cancer – can make the process very emotional. I cried when I wrote it and still get teary when I read certain scenes. This book sprang from two words – fluff and gruff – which ended up being the first two end rhymes in the story, which is told in rhyme. Sally wrote the first two lines when they sprang to mind, then had to sit down and plan the rest of the story. It’s about a teddy bear – Pemberthy – who doesn’t know how to have fun, and a doll, primula, who is determined to get him to join in her games. 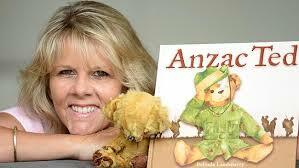 It’s mainly for kids aged 2 to 6, although Sally says she has shared it with much older kids (even high school boys). 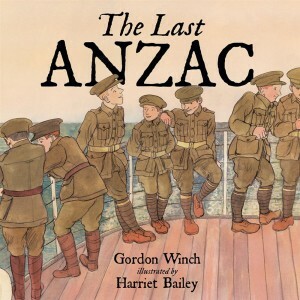 It’s a feel-good book, with beautiful pictures by talented illustrator Jacqui Grantford. 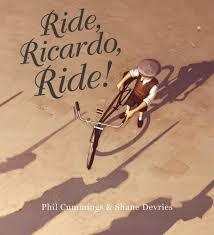 And, because it is written in rhyme, it makes a good read-aloud for story sessions. Kids are amazed when they realise that the bear on the cover is an illustration, not a photo. The artist is so clever! Pemberthy Bear is covered in fluff but, as the opening page reveals, he is mean and gruff. But really, he isn’t so tough – he’s just shy and a little insecure, and he learns to be braver. Sally says that the hardest thing about writing Pemberthy Bear was getting the rhyme and rhythm just right. Writing in rhyme is far more difficult than many people think. I wrote many, many drafts of this story to get it just right. Pemberthy Bear is published by New Frontier. Author Sally Murphy grew up writing stories and planning that she would one day be a published children’s book author. She says that when she grew up she found it a little harder than she imagined to get published. But I didn’t give up on that dream. I kept writing and submitting and learning the craft and, with persistence, I finally managed to get my first books published. Sally is the author of thirty books ranging from educational resources, to fiction and nonfiction reading books, picture books and verse novels. The thing she enjoys most about writing is knowing that children are actually reading and enjoying her stories. 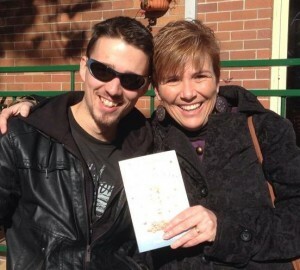 Nothing gives me more pleasure than having a young reader telling me they like one of my books. Seeing my name on a front cover comes a pretty close second. It is pretty awesome seeing something I wrote produced as a real book. On the downside, Sally says, you can sweat for months or years on a story and then not get to see it published. Sometimes that is really tough. But I have learnt that no piece of writing is wasted, because with every new story I write I get better and better – and some of my early stories which were rejected I look back now and realize they simply weren’t good enough. Sally says that when she realized she was going to need a day job she became a high school English teacher. 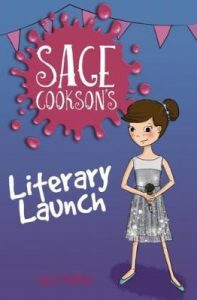 She figured that a job which involved books and kids would be a good start until she became an established author. I did like being a teacher, but I am not currently teaching, although I still need a part time day job to supplement my writing income. 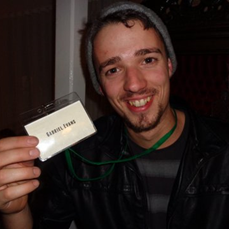 These days I work in local government, running a community resource centre. According to Sally, her greatest writing achievement has been managing to get published. She says the fact that a publisher takes a risk investing time and money producing one of your books is a huge achievement for any writer. Another awesome thing has been the awards and shortlistings which my verse novel, Pearl Verses the World, has achieved. Most recently, that book has been shortlisted for the CBCA Children’s Book of the Year Awards, which is a dream come true for me. I think each of my books is very different, though I guess many of them show a child character trying to figure out their place in the world, in the midst of whatever problem is confronting them. Number one tip is to spend as much time reading as you do writing. 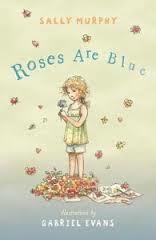 If you are not reading new release children’s books all the time then you you have little chance of success. You need to both know the market and also watch and absorb what does and doesn’t work in other people’s writing. If you don’t have time to read then you don’t have time to be a writer. Secondly, develop patience and resilience. Getting your work to publishable standard takes time and perseverance. And getting it accepted is hard. be prepared for rejection, and don’t give up if it takes years to get published. If you are serious about being published, don’t take rejection personally. Your first book may never be published. But by the time you have exhausted all avenues with that manuscript you should have been busily producing the next one, and the one after that. I have had a little hiatus the past few weeks because I’ve been travelling and got a little overwhelmed with commitments. But I am just about to get back into editing another verse novel which I think is getting close to finished. I am also researching a picture book, and have some rewrites to do on a longer novel. When Sally is not writing or working her day job, she is busy looking after her six kids (aged 9 to 23), reviewing books (she runs website www.aussiereviews.com), blogging or updating her facebook and Twitter accounts. I’m so excited to be one of the new bloggers for Boomerang Books. My new blog, Kids’ Book Capers is going to be full of fun things to do with books, and the people who write and illustrate them. Congratulations to all the authors, illustrators and publishers whose books have been recognised in this year’s awards. So many great books by so many wonderful authors and illustrators. And many of these talented people will be visiting Kids’ Book Capers to talk about how they write and draw, and create the characters and stories we love. Pearl Verses the World by Sally Murphy is just one of this years worthy CBCA winners. Pearl needs poetry to help her get through the hard things that are happening in her life – the illness of her granny, being accused of stealing someone’s boyfriend, and clashing with her teacher over poetry that doesn’t rhyme. When you read Pearl Verses the World, you feel as if Pearl sat on author Sally Murphy’s knee and spoke to her – asking for her story to be told. I had wanted to write a verse novel for some time – it was on my list of vague ‘to-dos’. I loved the form and thought that one day I would sit down, really study the form in detail, look for books or articles on writing the verse novel and then eventually sit down and have a go at one myself. In reality, this isn’t what happened. Instead, the story came to me in verse from, and so that is how I wrote it. When the verses first started coming, I didn’t realise I was going to sit down and write a verse novel. Over coming posts, we’ll be talking to other authors and finding out about books to make you giggle, books to scare your pants off, and books that have just been released. If you want to find out why some kid’s authors have never grown up, stay tuned to Kid’s Book Capers every Monday and Wednesday, and sometimes on Fridays.